ABOUT DAVID MILLS: David was a member of The Diamondback for three years as an undergraduate and a 1984 graduate of the University of Maryland. After a successful career at the Wall Street Journal and Washington Post, Mills became a top writer for several TV shows. 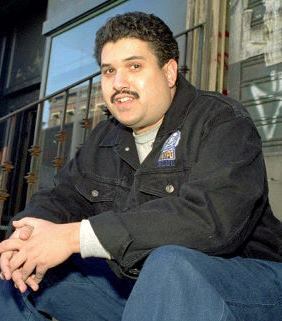 David was an Emmy-winning writer and producer whose credits included work on “NYPD Blue”, “Homicide, “ER”, “The Corner”, “The Wire”, and his own “Kingpin,” and was helping to run the writing staff of HBO’s “Treme” at the time of his death from a brain aneurysm on March 30, 2010.Since 2011 at least one scholarship of $5,000 per year has been awarded to an undergraduate who has worked for at The Diamondback for at least two semesters and who has commited to continuing to serve as a reporter or editor in the year when he or she is receiving the scholarship. While the scholarship is linked to service at the student newspaper, an applicant can offer sample work from any media, in keeping with David’s wide-ranging love of prose and screenwriting. And, as David was a key voice in the defacto desegregation of The Diamondback, candidates who show a particular commitment to creating and nurturing diversity at the paper will be looked upon with special favor by the application committee, as will applicants whose writing raises a bit of hell in a way of which David would be proud. (“No, no, no”, he protested in one famous DBK Wall Quote as he defended an op-ed column, “I’m just trying to be snide.”)Please read and follow the instructions carefully prior to submitting your application. Eligibility requirements include: the student be a Diamondback staffer with at least two semesters of experience; be full-time (12 or more credits); and that they continue to work at the DBK for the two semesters that follow the award. Please type your cover letter below. You will then be asked to upload your résumé, three examples of your journalistic work, and a copy of your official transcript. Maryland Media Inc. is committed to equal opportunity in employment and education. Maryland Media does not discriminate in any program or activity on the basis of race, color, religion, gender, age, national origin, disability, marital status, sexual orientation, or any other protected class. Questions? Please contact Craig Mummey at craig@mmi.umd.edu or call 301-314-8000.